Ah, Canadian Remembrance Day. A day off. A time to catch up on me! Me, me, me! The world’s collective voice echo’s the sounds of the most important person in the Universe….ME. 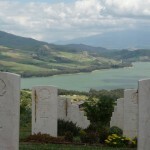 Recently, our collective small town ‘Me’ was lucky enough to visit a Canadian Cemetery in the middle of a little Island in Southern Italy, Sicily. 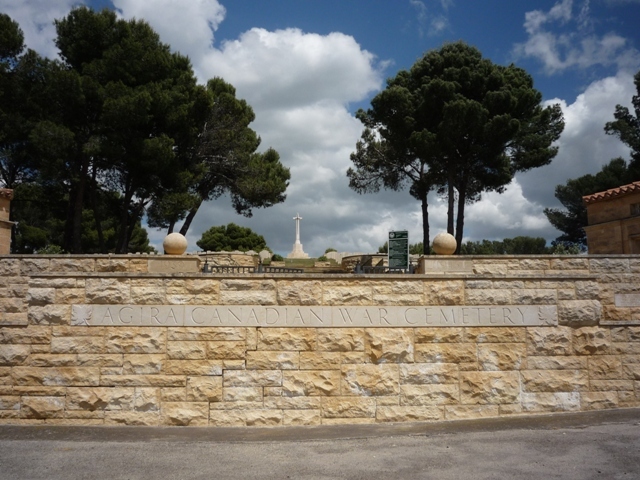 The Italian’s had commissioned such a site, complete with elaborate gardens and breathtaking vistas, to house the 500 Canadian Soldiers that had died on their soil after landing on their beaches on July 9, 1943. The Canadian campaign was a strong one and one of the first times that Canadians had seen actual action (with the exception of Dieppe) within World War II. Hitler had made friends with Mussolini, and had begun infiltrating their country with fascist propaganda that few Italians actually knew of, or understood. Quickly and quietly the Germans, tank by tank, and soldier by soldier, moved through their Country in a takeover that would leave many Italians scratching their heads and re-organizing underground in an attempt to regain control. Some people would call it the Allied Invasion of Italy, and others would call it the Allied Liberation of Italy, but either way it meant that the Allied Forces had landed successfully on the beaches of Southern Italy and began Operation Husky which would systematically push the Axis of Power back to from where they had come. Sicily would prove to be a great strategic takeover by the Allies, opening up the sea lanes of the Mediterranean as well as toppling Mussolini from Power (he would later be executed by the Italians as he attempted to flee to Switzerland in 1945. As an added bonus, the Italians hung his corpse upside down at a Petrol Station so that there would be no doubt that it was he who was killed). The Canadians had lost much of their transport fleet at sea in two separate attacks and arrived in Sicily, ill-prepared for either the vastness of the land, or the aridity of the region. 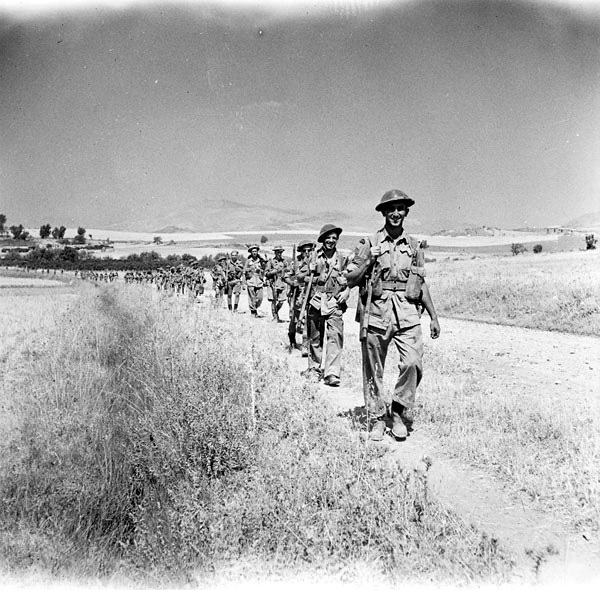 The Sicilian summer looked more like a barren desert than anything that they had been prepped for in their British deployment to date. George Patton and Bernard Montgomery would lead the Sicilian Campaign, with the main strategy being the capture of the major towns in Sicily, as well as taking command of Mt. Etna. 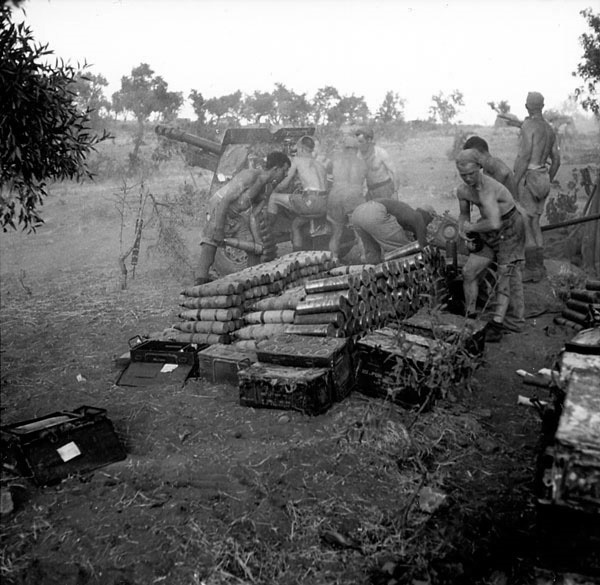 Stubborn resistance has been put up by the Italians north and west of Pachino, and along other [Canadian] sectors of the front there were heated engagements. Big battles will probably come before long, but meanwhile large numbers of prisoners are being captured. The Allies secured Etna by the end of July and continued their push North toward mainland Italy, all the while the Axis were reorganizing and retreating. While retreating, the Axis blew up many roads, tunnels and bridges and the Allied Engineers had their work cut out for them. By Mid August, the Allies had invaded, captured, and liberated Sicily. Sicily fell completely to the Allies August 17, after 38 days’ fighting. On August 6, following the capture of Adrano, the Canadians, who had marched farther in the campaign than any other formation in the Eighth Army, were withdrawn to rest, and so they did not participate in the last 10 days of battle. But during their month in the field they had gained valuable experience and self-confidence. They had also suffered battle casualties. 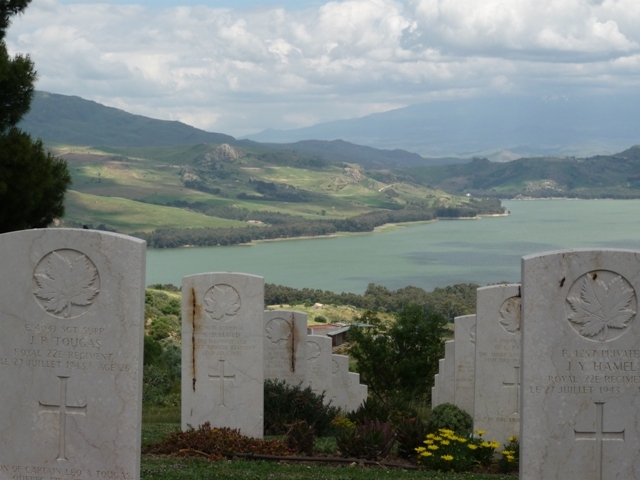 After the Sicilian campaign the decision was made to concentrate into one cemetery the graves of all Canadians who gave their lives in the island fighting, and in September of 1943 Canadian officers chose the site at Agira. It contains the graves of 490 Canadians (13 members of the RCAF and 477 of the army), six of whom are unidentified. It should be remembered, a number of war dead have graves which are unknown (including 58 Canadians who drowned when convoys were attacked en route to Sicily). 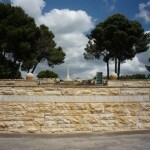 Their names are commemorated on the Cassino Memorial in mainland Italy. In all, it is estimated that 562 Canadians died as a result of this campaign. My Dad’s eldest brother is buried here, having died on July 20, 1943, after abdominal shrapnel wounds. He seems to be the only one from the Saskatoon Light Infantry that died around this time period, so I am still unsure as to what the cause of the shrapnel was. I do know that he was 21 years old and a Sargeant, and probably had never ever imagined that he would have traded in his Saskatchewan farm shovel for a Machine Gun in Sicily. …about noon an officer of the 1st Canadian Field Regiment, whose eagerness to select a good vantage point for his task of observing fire for the Patricias had carried him right into Agira, found no sign of enemy activity, but streets crowded with people who gave him an enthusiastic welcome. The bombardment was cancelled, and at 2:30 two PPCLI companies entered the town. They received an ovation from the populace on the outskirts; but as they climbed the steep streets into the heart of Agira they met a different kind of welcome from enemy pockets of resistance. It required two hours of fairly stiff house-to-house fighting and the employment of a third rifle company, as well as assistance from a squadron of tanks to clear the town. As we were finishing our beer, two German tourists walked in to the cafe, and began speaking Italian with the Mamasita and English with us. They helped us with our translations and pointed us off in the right direction. Three nationalities meeting over a beer….now there is a lesson in that one! This entry was posted in News, Politics, Travel and tagged Agira, Operation Husky, Saskatoon Light Infantry, Sicily. Bookmark the permalink. Excellent post, Kerry. 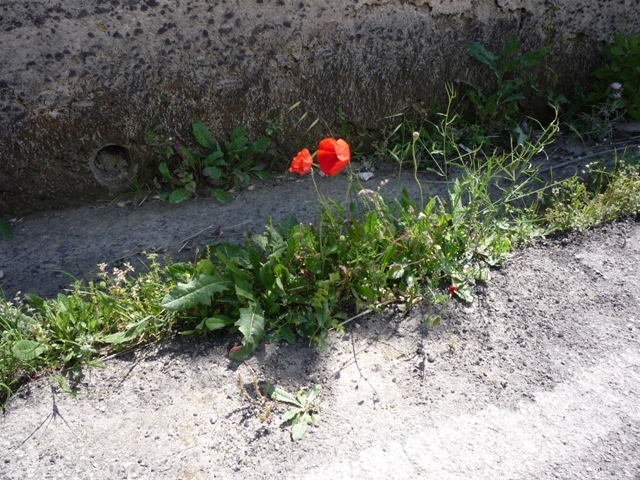 We often read about Dieppe and Juno Beach, but I knew very little about the Canadian campaign in Sicily. 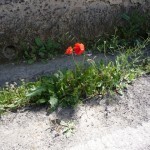 Thank you for your well researched and documented account – a very nice tribute to your uncle and the 500 other Canadian soldiers who sacrificed their lives for something we should never take for granted – our individual rights and freedoms.